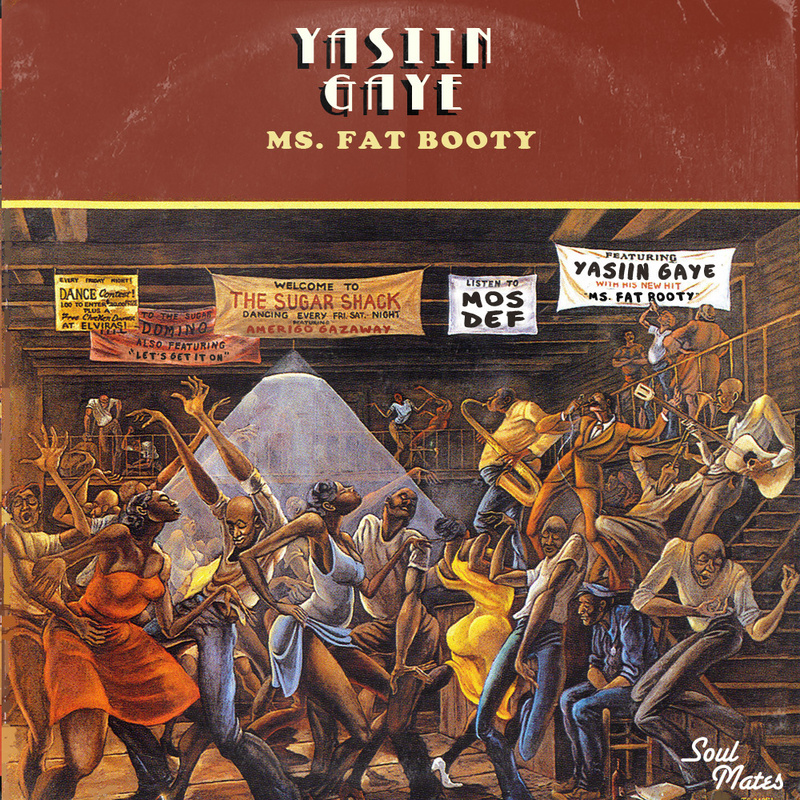 Amerigo Gazaway – Yasiin Gaye: Ms. Fat Booty (Soul Mates Remix) | "Up to date / state of the art / take part, get taken apart as I make my mark"
I picked up Amerigo Gazaway‘s Yasiin Gaye project a few weeks ago, and its never been far from the speakers up here at Illwood Heights. Its a retwisting of classic Mos Def lyrics with production built up from classic Marvin Gaye joints. Everyone likes a drop of Ms. Fat Booty, so its not a surprise to see that this one has been singled out for special treatment. The song has been transformed into a guaranteed party starter, and the vocals seem to fit the beat so much more than a lot of recent mash-up attempts. Cracking. This entry was posted on April 10, 2014 by Koaste in Here Comes The Remix, I Know You Got Soul, The D is FREE and tagged Amerigo Gazaway, Black on Both Sides, Marvin Gaye, Mos Def, Ms Fat Booty, Yasiin Beye.